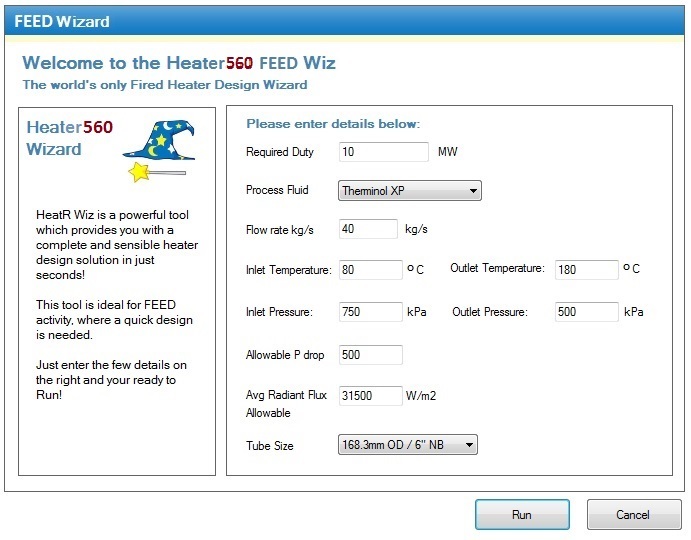 The Heater560 FEED Wizard will automatically design a fired heater based on your basic specified requirements. By entering basic data such as inlet temperature, outlet temperature and allowable pressure drop, the wizard will automatically design a fired heater to suit your needs. Documents such as datasheets, drawings and Cost Estimates are also produced instantly, saving a huge amount of time and costs for your company. This powerful feature of the software is perfect for all your FEED stage projects or budgetary design proposals. 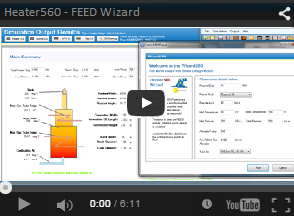 The FEED Wizard enables engineers to produce fired heater designs, associated documents and detailed cost estimates faster than ever before. Engineering tasks that would take at least 4-5 hours can now be completed within 3 seconds. The value of the tremendous savings in time and money are estimated to be worth $10,000s for your business. With such features, our customers are empowered to act faster and adapt to changes quickly, minimising man-hour costs.